Poised to become the new landmark, Essence Condominiums in White Rock will bring a sleek, sophisticated elegance to the corner of Johnston and thrift Avenue in White Rock’s popular Uptown neighbourhood. Here you’re close to every amenity – boutiques, art galleries, the new White Rock Playhouse Theatre, an ever-expanding array of restaurants and, of course, the White Rock beach and promenade. Essence of White Rock’s initial condo release offers a limited edition of 34 homes featuring views to the Semiahmoo Bay, hardwood and limestone flooring, Kohler fixtures and a host of other urban-savvy features. Prices of the White Rock Essence condos are expected to start in the $300,000s for these one, two and three bedroom low-rise condominium residences. Sales start early in the New Year, but don’t miss this rare opportunity. 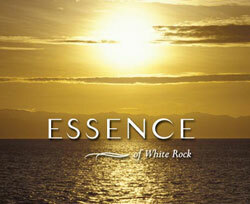 Priority register online for Essence Condos at www.essenceofwhiterock.com. Now accepting priority registration in preparation for an early New Year launch, Ocean Wynde is a four-storey condominium development offering 30 two bedroom condominium suites, most with den. Situated only ten minutes away from the White Rock Beach and Promenade at 15368 – 17A Avenue, these Ocean Wynde White Rock homes offer a host of upscale features including granite countertops, engineered hardwood flooring, and more than 1,000 square feet of elegant living space. The White Rock Ocean Wynde homes are priced from $399,900. 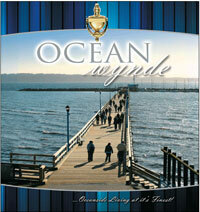 For more information and to priority register, visit www.oceanwynde.com or call 604.837.5612. Luxury living … Ocean Wynde, a vibrant new condominium complex in the heart of beautiful sunny White Rock, one of the West Coasts’s most desireable communities. Brought to you by Ocean Front Homes Ltd. Legendary excellence in design and construction. Brining the best modern, urban residences at Ocean Wynde to a spectacularly inspiring location, fast becoming the most sought after community to live in by all ages. 2 bedroom, 2 bathroom + den (most over 1,000 sq ft starting from $401,000. Update: 25% Sold Out! Luxury living is what Ocean Wynde is all about: a vibrant new condominium complex in the heart of sunny South Surrey, one of the most prestigious and most desireable affordable neighborhoods in the Lower Mainland. The real estate development presales is by Ocean Front Homes Ltd. And you can now own a modern, urban condo home that is located in a great community and and in an urban and vibrant neighbourhood for all ages. The two bed and two bath South Surrey Ocean Wynde condos start from just $401,000 and they come with dens, gourmet kitchens with stainless steel appliance package and granite counter tops. The furnished showhome for the Ocean Wynde South Surrey condos is located at 15368 17A Ave in Surrey and is open daily between noon and 4pm (Fridays closed). Call for more information or visit www.oceanwynde.com. Hari Sharma at Maple Leaf 1st Realty Ltd at 604.837.5612 or Susan Hunger at 604.818.6074 for more details about the presales South Surrey Ocean Wynde development. Why rent when you can own a totally refurbished and updated condominium only steps from White Rock’s popular Uptown neighbourhood. These Southmere Place homes feature spacious floor plans and all the contemporary details you’d expect – but you won’t be paying GST to get them. Offering a selection of well-priced one and two bedroom homes, Southmere Place White Rock’s second phase display suite is now open noon to 5pm daily except Friday at 1850 Southmere Crescent (152nd Street and 18th Avenue behind the Semiahmoo Shopping Centre). For more info about the White Rock real estate condo development, call 604.538.3322 or visit www.southmere.com. The first new townhome development seen fro some time in Surrey’s Queen Mary Park neighbourhood, is Redleaf Crescent which is now accepting priority registration. The Redleaf Crescent Surrey town houses are situated in a quiet, established area at 9405-121st Street and includes eighty five three bedroom townhomes that will be released for sale in three phases and are priced from $349,900. Features at the Surrey Redleaf Crescent townhomes wil include granite counters, stainless steel appliances, and hardwood laminate flooring. Homes average approximately 1400 to 1500 square feet. The Redleaf Crescent site takes its name from the many maples that will be preserved for all to enjoy through the changing seasons. For more info, please visit www.redleafcrescent.com or call 604.584.9405. Now accepting priority registration, Redleaf Surrey Townhouses Crescent is the first new townhome development in Queen Mary Park community in a while. Your Nature. Your Home. Coming Soon to Queen Mary Park are the newest 3 bedroom boutique townhomes. Now selling, Sullivan Gardens Surrey is a collection of 35 townhomes inspired by classic villages around the world. Located at 5889-152nd Street in Surrey’s Sullivan Heights neighbourhood, these garden-style Sullivan Gardens homes feature three bedroom, four bath floor plans including expansive dens with separate door to the exterior, side-by-side garages, nine foot ceilings and exposed beam detailing on the main living level, and gourmet kitchens. The Sullivan Gardens Townhomes in Surrey presentation centre and display home are open 1:00 to 4:00 pm daily except Fridays. For more information about Surrey’s Sullivan Gardens townhouses, please call 604.377.3000 or you can visit the website anytime at www.sullivangardens.ca. Sullivan Gardens Luxury Townhomes start from just the high three hundred thousand dollar range and are now selling in pre-sales phase. An exclusive collection of 3 bedroom preconstruction Surrey townhomes plus den are a unique blend of both the country style and contemporary living for families. These are thoughtfully designed Sullivan Garden town houses that are close to green spaces, parks, golfing, recreation and transportation hubs around the city. Great location! Walking distance to all amenities. Selling Fast, so you better call today at 604.377.7000 or visit www.vancitymarketing.com for more information about the pre-sales Surrey townhomes at Sullivan Gardens. Highland Park – The second phase of Intracorp’s real estate development offers luxurious townhomes and duplexes and a long list of on-site amenities. The Highland Park townhomes in Intracorp’s neighbouring Glenmore community are no less impressive. Published in Westcoast Homes in December 2007. Move-up homebuyers yearning for a lock-and-leave lifestyle without compromising space or location are flocking to Intracorp’s Highland Park townhomes development in the upscale Morgan Heights area in South Surrey. With the first release now sold out, Intracorp has just released the second phase of this luxurious collection of townhomes and duplexes. Susan Rutledge, Intracorp’s Director of Sales, says the Highland Park homes at Morgan Heights South Surrey are aimed at homebuyers who love the space of a single-family home but who are looking for a lifestyle that doesn’t involve entire weekends spent doing yard work. Designed by Rositch Hempill and Associates Architects, the three and four bedroom luxury homes range from 1229 to 1759 square feet. Each home at Highland Park Morgan Heights comes with a long list of thoughfully chosen features; nine-foot ceilings on the main floor, porcelain-tiled entryways, gas fireplaces, stainless steel appliances and granite countertops in the kitchens and, for a limited time, engineered hardwood in the living room, dining room and kitchen in your choice of merabau blackrock or sapele natural. Exteriors at Morgan height’s Highland Park in South Surrey, with their traditional architecture, stone accented chimneys and entranceways, and inviting patios and outdoor space, are elegant and homey at the same time. Morgan Heights Highland Park South Surrey also offers the rare combination of endless recreational opportunities, and convenience, with easy access to parks, golf courses, beaches, schools and upscale retail at the new Grandview Corners real estate development. “Residents will be able to stroll the village to get their Lululemon wear, buy organic food, or just pick up a coffee,” says Rutledge. Onsite amenities are also impressive. The property development at South Surrey’s Highland Park will boast a state of the art recreation facility, with an outdoor pool and hot tub, bar area, lounge with fireplace, movie theatre, yoga studio, children’s play area and floor hockey rink. First time homebuyers seeking an opportunity to get into this exclusive neighbourhood need to look no further than Intracorp’s neighbouring Glenmore community. Aimed at urban young single professionals and couples, the Glenmore townhomes represent an opportunity to purchase an affordable home in an area with incomparable amenities such as the Highland park townhomes in Morgan Heights. Price from $359,900 and also designed by Rositch Hempill, the 214 Glenmore townhomes come in two, three and four bedroom configurations and range from 1119 to 1713 square feet. The reasonable price tag does not come at the expense of quality. From brick detailing on the exteriors at the Glenmore at Morgan Heights townhomes in South Surrey, to the open contemporary living spaces with nine foot ceilings on the main floors, to the gourmet kitchens, elegant bathrooms, privat patios, every detail has been painstakingly chosen to ensure that the comfort and peace of mind of Glenmore residents at Morgan Heights. To get a taste of life at these two promising new developments at Highland Park and Glenmore townhomes in South Surrey’s prestigious Morgan Heights community, visit the eight spectacular show homes, each decorated by a notable designer. The Highland Park homes, and the sales presentation centre, are open from noon to 5pm daily except Fridays. Highland Park is at 2501 161A Street in Surrey; www.highlandparkliving.ca, 604.542.8995. Glenmore at Morgan Heights is at 2450161A Street in Surrey; www.glenmoreliving.ca, 604.542.8863.